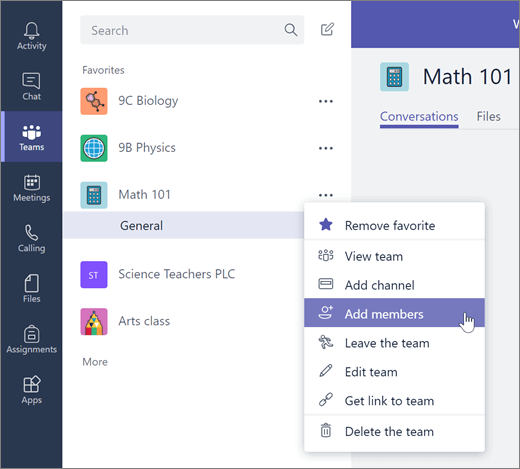 Tip: If you plan on adding a large number of students at once, consider making an Office 365 group for your class team and adding the group during this step. 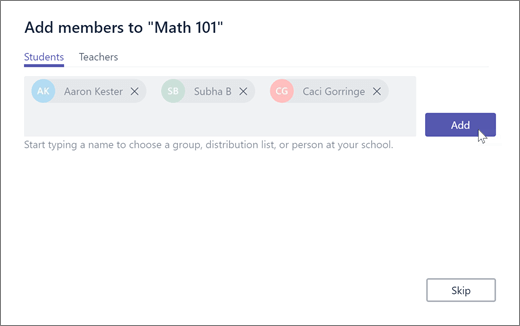 Navigate to the class team you'd like to add a student to, then select More options next to your class team. Type in the name of the student(s) and select Add. 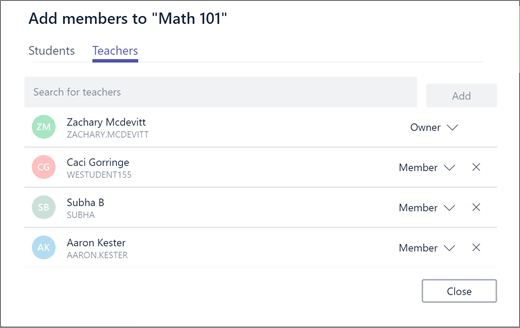 If you'd like a student to have owner permissions select the arrow next to Member and select Owner.